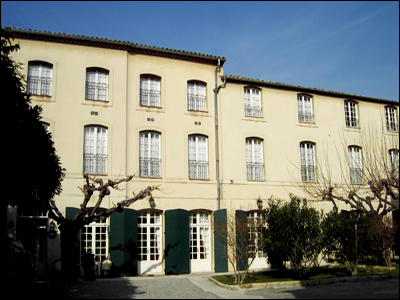 This blog normally welcomes initiatives in town, but today must report on two closures, a hotel and a book-shop, both longstanding family businesses; and their demise says a lot about the way things are going in Aix. The hotel is the 3-star Le Manoir, in rue Entrecasteaux, which closed end of July (and a big thank you to cultural travel organiser and fellow blogger Anne Woodyard http://www.musicetc.us for tipping me off about this). The hotel website says ‘Fermé’ and then itemises the problems they were having – they had been running at a loss for years in a changing world with fewer clients. They were buffeted by the financial crisis, more 3* hotels opening and new cheap chain hotels on the outskirts. These have the benefits of central reservation systems and attract clients with Wifi – but are sans ame says the hotel. Le Manoir on the other hand had a 14th century cloister for guests to enjoy and a rollercoaster history through the revolution and its final incarnation as a felt-hat factory employing 100 workers. Beat that Campanile. But a glance at their website http://www.hotelmanoir.com/ does show sadly dated rooms in the hotel which was open for 40 years. Not too far away was the book-shop Vents du Sud on Place Richelme. Started in 1973 by booksellers from Algeria, this shop was a warren of tiny rooms at floor-level and in the basement, crammed with books. 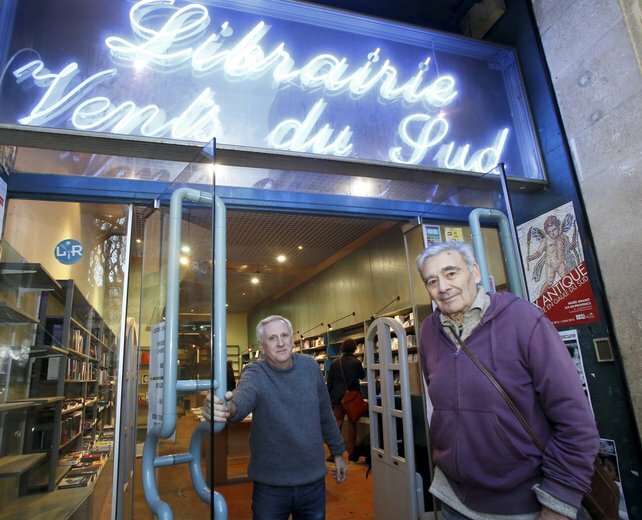 But, as historian Alain Paire explains in an article in La Provence, bookshops can’t thrive just on the charisma and hard-work of their owners and staff. The Librarie de Provence and Goulard in the cours Mirabeau are better positioned and have more space…but there is a marked shift in town with the pendulum swinging towards Les Allees Provencales and of course FNAC. sign of the times unfortunately….. It really is….and it’s these individual family-run enterprises that give aix so much of its character!